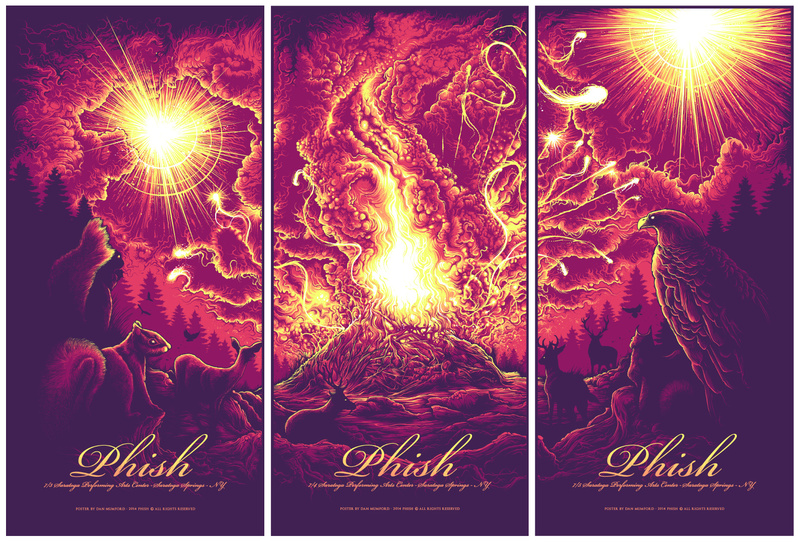 Dan Mumford will have “Phish – Saratoga Springs, NY 2014″ gig posters available soon. It is triptych set of (3) 12″ x 24” 5-color Screenprints, limited edition with matching numbers, and cost £100 ($166) for the set. On sale Tuesday, August 26th at 5pm BST (9am PDT) HERE. This entry was posted in Gig Posters and tagged Dan Mumford, Phish by admin. Bookmark the permalink. I would love to buy the set of posters. Can impre-order?